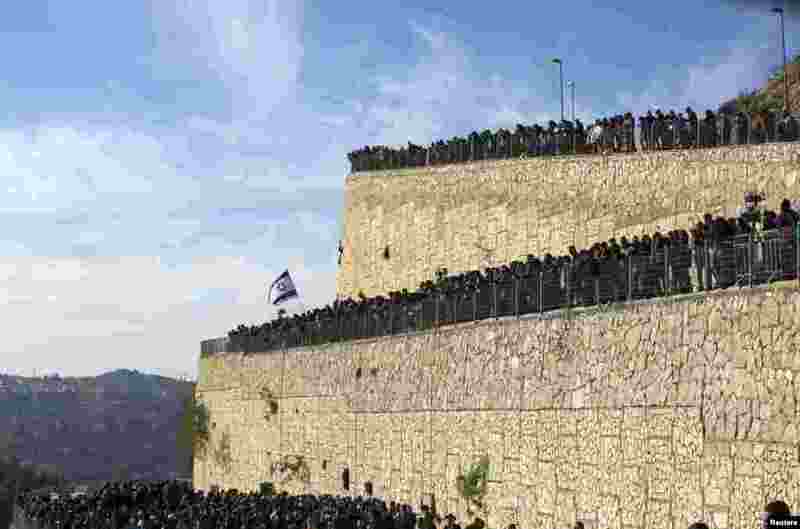 1 People gather during the burial ceremony in Jerusalem for the victims of attack on a Paris grocery. The bodies of four French Jews killed in an attack on a Paris kosher grocery have been flown to Israel for burial. 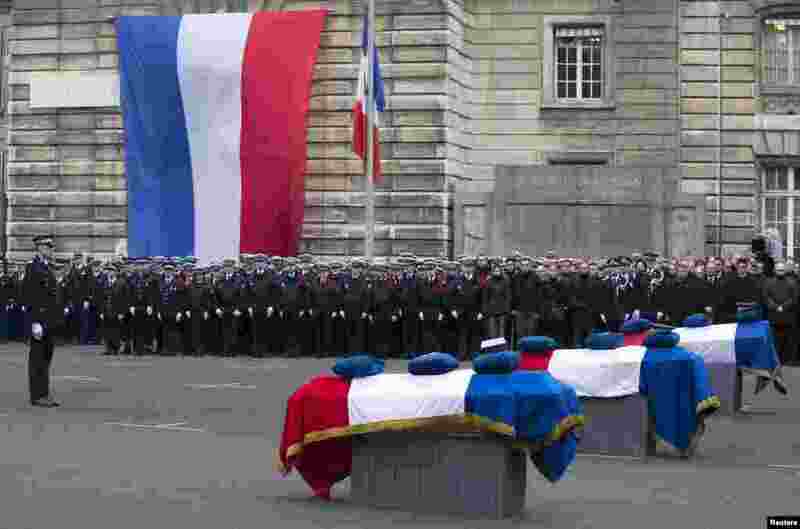 2 French Police officers pay respects to the three officers killed during last week's terror attacks during a national tribute at Prefecture de Police, in Paris. 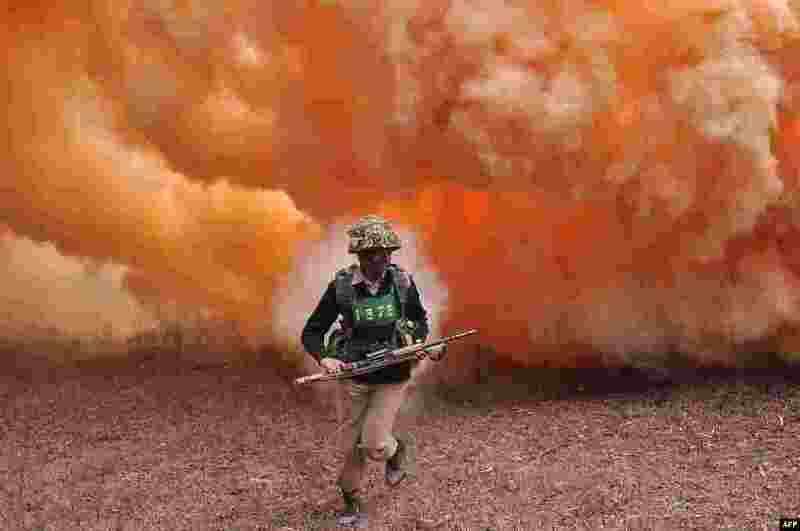 3 An Indian Border Security Force (BSF) commando runs from thick smoke during an excercise at the Kharkan Training Camp at Hoshiarpur, around 60 kilometers from Jalandhar. 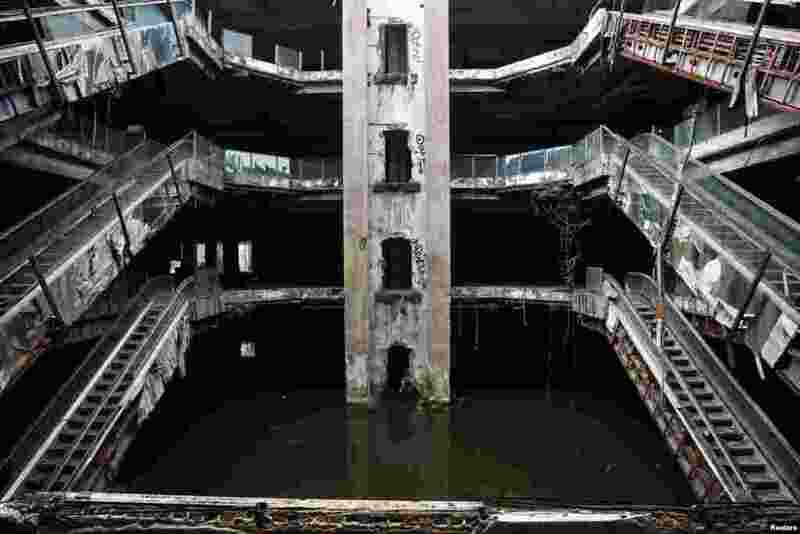 4 An abandoned department store is seen flooded in Bangkok, Thailand.